The fourth of nine children, Jabs was born and raised in rural Montana, and his parents were immigrants from Russia and Poland. Jabs credits his family for providing him a strong work ethic, a sense of family and a love of music. In fact, this long-time musician's entrepreneurial career began in guitar sales. Then, after a stint selling electronics in the early 1950s, Jabs' first serious venture into the furniture business came in 1968 when he opened Mediterranean Galleries, a high-end furniture store with locations in Denver, Colorado Springs, Pueblo and Billings, Montana. Five years later, the Mediterranean trend in home furnishings ran its course and Jabs chose to close the Galleries. Not long after, Jabs came across an opportunity that would become his life. 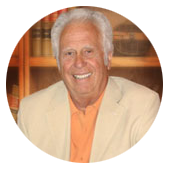 In 1975, he purchased a one-location, struggling furniture business, called American Furniture Company - which he then renamed to American Furniture Warehouse. Under Jabs' leadership, American Furniture Warehouse has expanded into a fourteen-store operation that includes 12 stores in Colorado and 2 stores in Arizona, that has experienced a remarkable growth trend over the years. As he has been since the beginning, Jabs is responsible for the day-to-day operations of the company and also oversees the company's team of buyers. Today, American Furniture Warehouse is one of the top retail furniture companies in the U.S. and one of the largest privately-held businesses in Colorado. The self-taught businessman credits American Furniture's success to "the basic American philosophy of hard work, long hours, self confidence, the courage to take risks, and the desire to give value and service to every customer." An active member of the community and philanthropist, Jabs lends his support to a number of non-profit organizations. He serves as National Vice-President of the Muscular Dystrophy Association, and is actively involved with many not for profit organizations in Colorado. 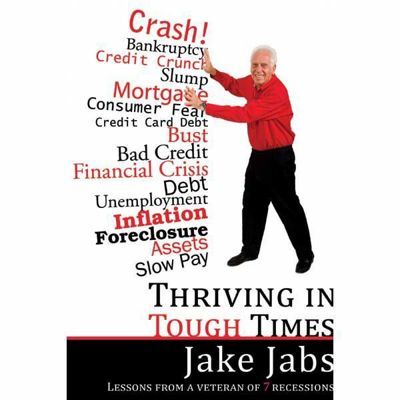 Throughout his career as a major furniture importer as well as in his early years in the Armed Services, Jabs has traveled throughout more than 50 countries and has made a lifelong study of various forms of government and business. He often speaks to high school and college students on topics such as the basics of business and the keys to success. In addition, he has written numerous articles, including "Free Enterprise and the Land of Opportunity" and "We Must Save Small Business," as well as articles on Russia and Poland. 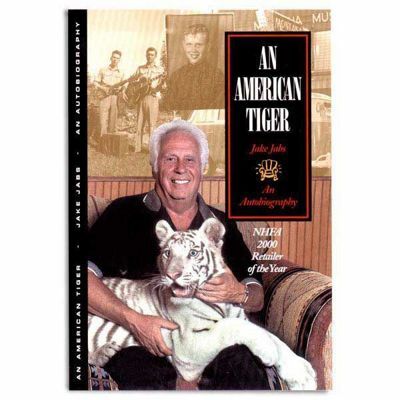 His autobiography, "An American Tiger," was published in 2000 and is available online at www.afwonline.com or at any of American Furniture Warehouse's locations as well as his latest book published in 2011, Thriving in Tough Times. Keep your credit good. This opens opportunity! By being debt free you can look for opportunities. Don’t have to take any job just to make car and house payments. It makes life more fun! Have a passion for what you do. Love your job. Business must have a value to society and not just a profit machine for the family. Give value and service – customers and people you know must recommend you. Believe in the free enterprise system. Entrepreneurs don’t do it for the money. Believe the United States is the Land of Opportunity. Get an education. This develops confidence and opens doors. Work your way through college. Don’t graduate with huge debt. Inability to purchase cars, home or start a family. Develop an art form and hobbies. These will help you through the trouble times. Organize your time, make a list and move priorities to the top. Keep physically fit, it helps your mental attitude. Worry not about tomorrow because tomorrow will take care of itself. Learn to say no to drugs, bad advice, salespeople, over spending, etc. Enthusiasm will always be contagious. People buy from enthusiastic people. Don’t be afraid to work on commission! It is an incentive to do a good job. If you pay someone directly for what they do the productivity more than doubles. To achieve success you must swallow your ego. Ego trips can break you. If you enjoy what you are doing you may never have to work a day in your life. To succeed you have to be willing to fail. A great man is one who can walk with the common man but talk with kings. Success is achieving what is important to you. Be a good steward with what God had given you. Competition is the spice of life. It forces lower prices and gives more value. Small business-entrepreneurship is the lifeblood of America. We must teach free enterprise, free market, entrepreneurship and capitalism in our schools.